Today I am once again guest posting over at Kenarry Ideas for the Home. You’ll want to be sure to visit so you can read all about my DIY Burp Cloth tutorial! If you’re a regular to The Birch Cottage blog, you know that I have a son who lives in Georgia along with his beautiful wife and they just had twins on July 3rd. To say Lenny and I are proud, is an understatement. Needless to say, the twins were my inspiration for this easy to sew tutorial. When my daughter-in-law was expecting, I searched the web and Pinterest for baby gift inspirations. I actually found several tutorials and I gleaned a little from each and came up with my own version. 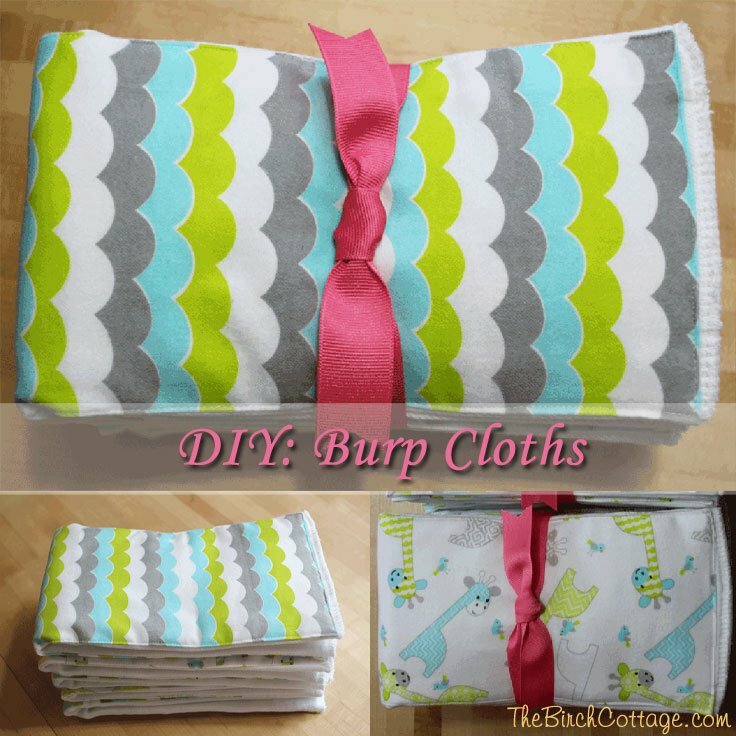 I put together a tutorial for my DIY Burp Cloths and am sharing it over at Kenarry today. Cloth diapers are the ultimate burp cloth, as far as I’m concerned. So when I saw these, I just knew I had to make some! The twins are five weeks old now and the burp cloths are getting lots of good use. I’m so glad to have a reason to make these easy-to-sew burp cloths and truly thrilled to be sharing this tutorial with Kenarry’s readers and with you, my favorite blog readers. Thanks for visiting today! If you like this tutorial, I’d truly appreciate you sharing it on social media. If you really like this tutorial, it would be great to have you subscribe to The Birch Cottage newsletter. My newsletter subscribers are very special people, who also receive exclusive access to downloads and specials just for my subscribers. I am thrilled that you’ve chosen to read my blog and I take your trust in me seriously. Thank you for being so fabulous!